The deal between Apple and Swell has been confirmed now. Though the company did not comment on the purchase price, rumors are out that the deal was worth $ 30 million as Noted by appleinsider . As Radio app Swell offers a fantastic mix of different podcasts and this app has definitely helped podcasting reach the point it required to be at. Congrats to the Swell folks. The Wall Street Journal reporter Daisuke Wakabayashi has confirmed the purchase of Swell on Tuesday. Thank you for using Swell over the past year. We wanted to let you know that the Swell service is no longer available. We’ve been inspired by the opportunity to create quality products that positively impact users’ lives, and we are grateful to all our listeners. Thank you everyone for your support! The bad news for Swell users is that the app is probably going to shut down. It would be great if Apple builds it directly into their podcasts apps. But nothing is said about it. Swell was available for free download on iOS App Store, but Apple would remove the free download option. Wondering what made Apple make such a decision? It is assumed that the simple and user friendly interface of Swell was the major reason to Apple’s acquisition of the product. 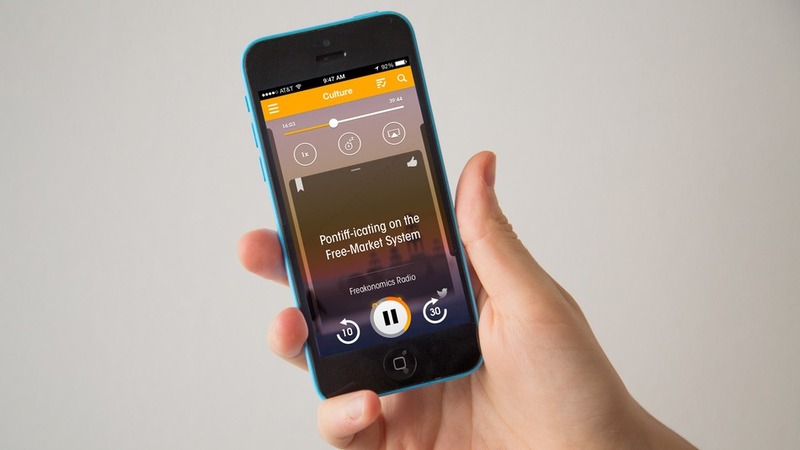 The service goes beyond by analyzing the user’s listening habits and offers a personalized podcast stream. The users could simply hit the play and start hearing the songs that might be of the user’s interest. It is presumed that Apple would be inviting Swell’s team to join the company. With Swell, Apple is also making some additions to its team to help the giant deal with the podcasts apps. If they cannot transform it into something completely new and innovative, they should at least be able to improve the podcasts app. Not sure what’s the major goal of Apple Inc. behind it. Apple purchased Beats earlier this year and now, we hear about Swell, it seems Apple is building some music platform for the music lovers. Let’s wait to watch the clear-cut story! This news has come soon after Apple bought BookLamp. Apple kept the news of purchase of Swell under the wraps until last week. Apple has completed 29 acquisitions since the last 9 months. Hope this deal proves to be worth buying!